We have provided a few traditional Cyprus recipes for those of you who would like to have a go at cooking authentic Cypriot dishes at home. 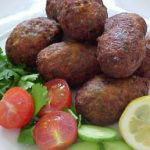 This is a great way to bring back those perfect memories of your holiday in Cyprus. Most of these recipes are fairly easy, so they are great to experiment with if you want to learn how to make Cypriot food. 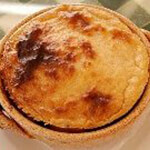 If you have a recipe you would like us to publish then please send it to us. 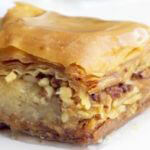 Baklava – Flaky Greek pastry made from layered sheets of filo dough and chopped nuts; covered with syrup or honey. 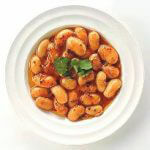 Fasolada – A soup made of dry white beans, olive oil, and vegetables. 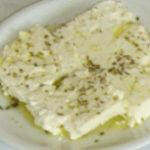 Feta Slices – Common applications for Cypriot feta include spanakopita and salads. 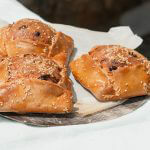 Flaounes – Traditional Easter pastry filled with cheese. 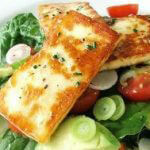 Halloumi – White soft cheese usually grilled, made from either goat or sheep milk and sometimes spiced with peppermint. 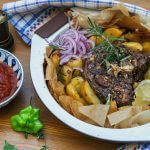 Kleftiko – Shoulder of lamb cooked slowly for up to 24 hours in a clay oven with lemon juice. 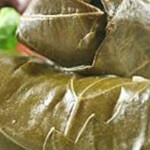 Koupepia – Also known as Dolmades, vine leaves stuffed with minced meat and rice seasoned with mint, onions, and spices. Moussaka – Baked lamb and eggplant casserole covered with a thick layer of béchamel sauce. 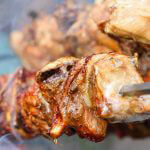 Pork Souvla – Skewered meat slow cooked on an outdoor grill. 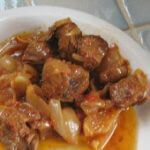 Stifado – Beef or rabbit stew casseroled with wine, vinegar, onions, and spices. 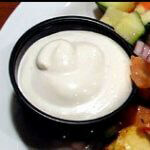 Tahini Dip – A key part of Cypriot mezes and is traditionally served with warm, fresh bread or pitta. 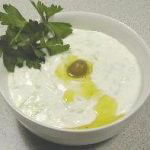 Tzatziki Dip – A popular condiment made from herbs, yogurt, garlic, and cucumber with variations found in Greece and neighboring countries. 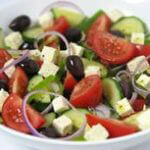 Village Salad – Other names for it include the country salad or the peasant salad. 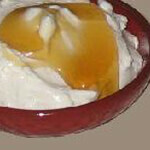 Yogurt Honey – A simple combination of yogurt that has been sweetened with honey (called giaourti me meli).